The college visit is an important part of the college admissions process, but parents may not be sure how best to participate in and maximize that visit. This article offers some specific suggestions for getting both parents and students started thinking about productive questions to ask during a visit. Who teaches most freshman classes? Full professors? Teaching assistants? If there are many teaching assistants, how are they trained? What are town/college relations like? Are there joint activities that are attended by townspeople and college students? Does the college get involved in community events? Are there community service opportunities available in the surrounding areas? How is advising done? Will I have an academic advisor? How are advisors assigned? Do some advisors advise only first year students? Will I have an advisor in my major? 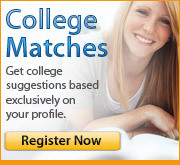 What if I am undecided about a major? There are some questions that will not interest your student, but may be important to you, as a college parent. Don’t hesitate to ask some of these. You may need to be sure to address these questions to college personnel rather than students. What is the college retention rate? What percentage of students graduates in four years? In five years? If the rate is not very favorable, do you have a sense of why so many students fail to graduate from this college? Asking the right questions on a campus visit will help you gather important information as you and your student discuss your student’s decision about college. Your student will need to put all of the pieces of information together until they add up to the right fit. You can help your student by asking questions and making the most of your college visit.